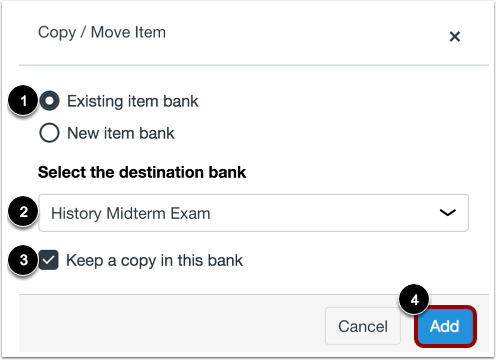 How do I move or copy a question from one item bank to another in Quizzes.Next? 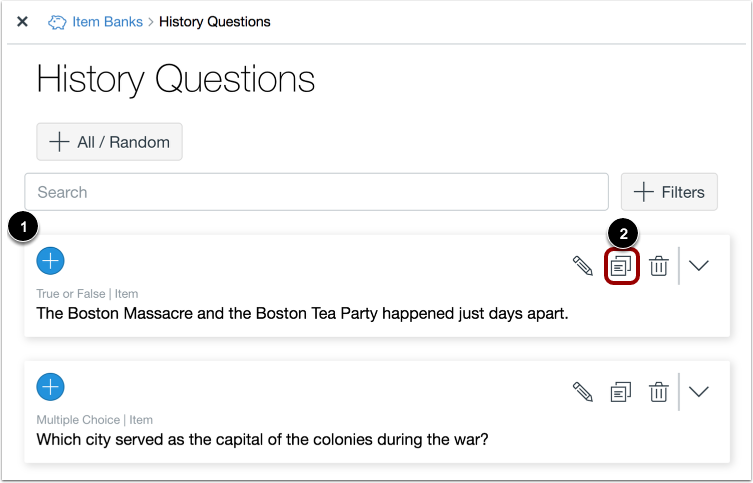 You can move a question from one item bank to another in Quizzes.Next. You can only move questions to item banks that you have created. Currently, you cannot move questions to another user’s item banks. 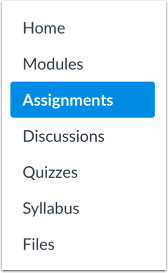 Click the name of an assessment. Click the Item Banks button. Click the name of an item bank. Locate the question you want to move or copy . Then click the Copy icon . 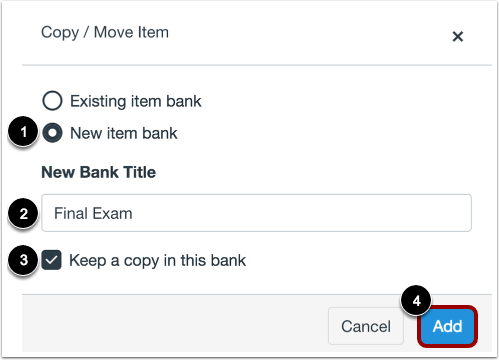 To move or copy the question to an existing bank, select the Existing item bank option . Then select the item bank in the Select the destination bank drop-down menu . By default, a copy of the question will be kept in the original item bank. To remove the question from the original item bank, uncheck the Keep a copy in this bank checkbox . Click the Add button . To create a new item bank, select the New item bank option . Then enter the name of the bank in the New Bank Title field . Previous Topic:How do I add all items or a random set from an item bank to an assessment in Quizzes.Next? Next Topic:How do I align an outcome to an assessment in Quizzes.Next? 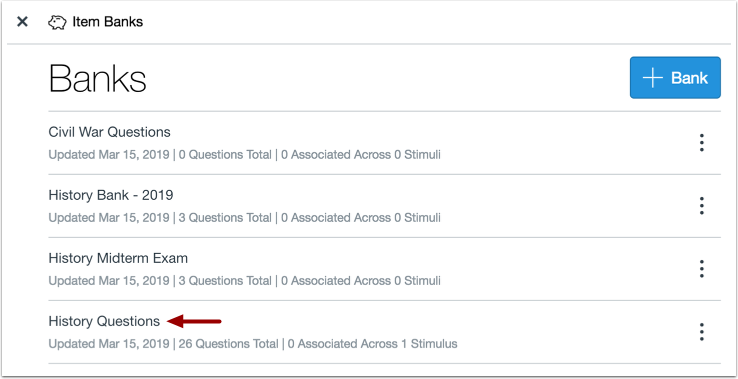 Table of Contents > Quizzes.Next > How do I move or copy a question from one item bank to another in Quizzes.Next? Re: How do I copy a question within a question bank?